Every day there’s a packed programme of entertainment in the Main Arena. Don’t miss the amazing Bolddog Lings Motorbike Stunt Display Team, Shetland Pony Performance Team, Top Class Showjumping, Grand Parade of Livestock, Meredown Falconry Display, Scurry Racing and more. Get up close and personal with over 2,000 animals! 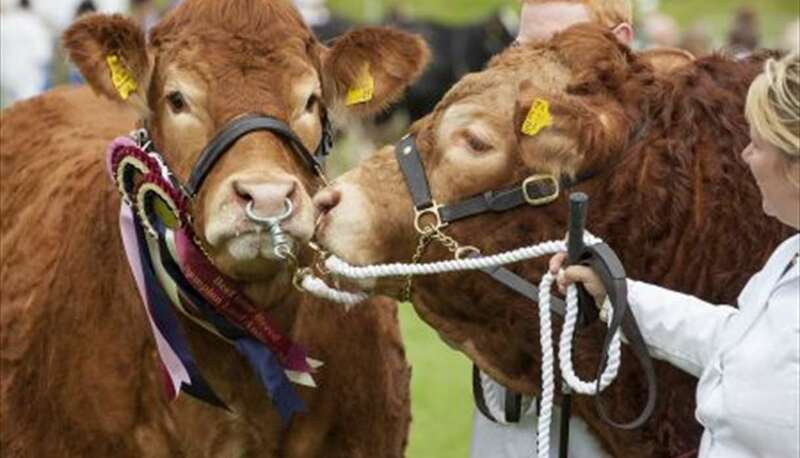 At Devon County Show we are proud of our amazing livestock competitions. With over 1,500 sheep, 500 cattle, 100 pigs, 150 goats and 75 alpacas you can wander the through the livestock area and find over 100 rare and minority breeds. Their owners are on hand to tell you more about their stock and you can watch to see who will become the Show Champion! Enjoy the most mouthwatering food and drink the West Country has to offer at this year’s Show. With an incredible array of food to snack on, food to take home, food to try and food to watch, foodies will not be disappointed. Many of our food stands cater for vegetarians, vegans, gluten free diets. Visit the Food & Drink Pavilion for the best of the west and wander down the new Food Walk for something a bit different. Bigger than a Premier League football pitch this giant marquee is home to an array of craft stands, our floral art competition, home baking comeptition, flower and gardening stands and the fantastic Lifton Tea Shop! Mill some flour and bake a bread roll – Watch chicks hatch – Enjoy the antics of the piglets – Press apples and enjoy a glass of fresh apple juice – Plant some seeds and take away the pots to see the plants grow at home – Sit on a tractor! Horses and Ponies in all shapes and sizes! A host of Devon’s acclaimed chefs will be cooking up some culinary masterpieces in our demonstration theatre in Food and Drink Pavilion. Performances will take place on each Show day – check out our timetables for more details. Our incredible display of Vintage Tractors and Steam Engines dates back to 1900’s with over 100 exhibits. Make a beeline for the fantastic bees & honey marquee. Find out all there is to know about keeping bees and making honey! Live demonstrations, honey tasting, candle making and don’t forget to search for the Queen Bee! The best selection of craft beers and ciders – probably – in the country! The Devon County Show has a bigger and better range of real ales and ciders than you will find at any other agricultural show. Visit the Food & Drink Pavilion, our Avocet Bar in the picnic area, the Contented Cow off Road 8 or wander down the Food Walk to explore tipples from over 30 different producers. Meet over 200 rabbits and 450 cavies (Guinea Pigs) at this year’s Show. With so many different breeds on display you will be wowed by their complete gorgeousness! Welcoming over 600 dogs, 130 different breeds and a chance to qualify for Crufts, our dog show is a must see part of the day. Watch the pampered pooches compete for Best in Show. See our timetables to find out what breeds are on which day.